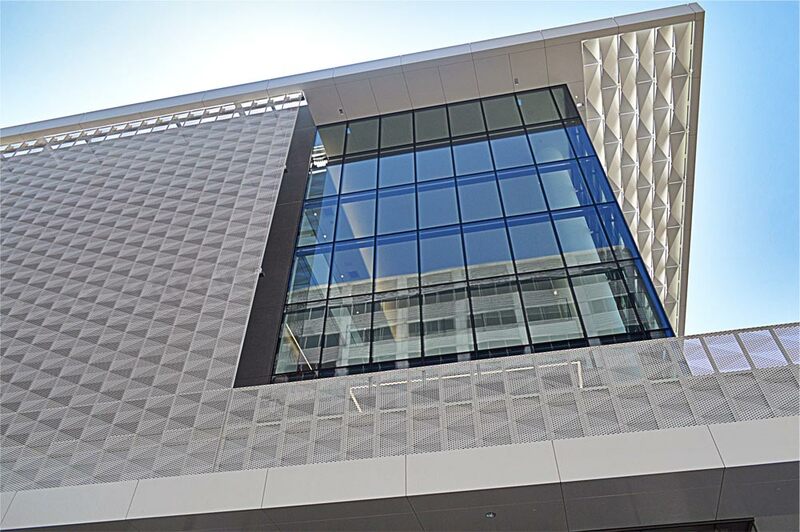 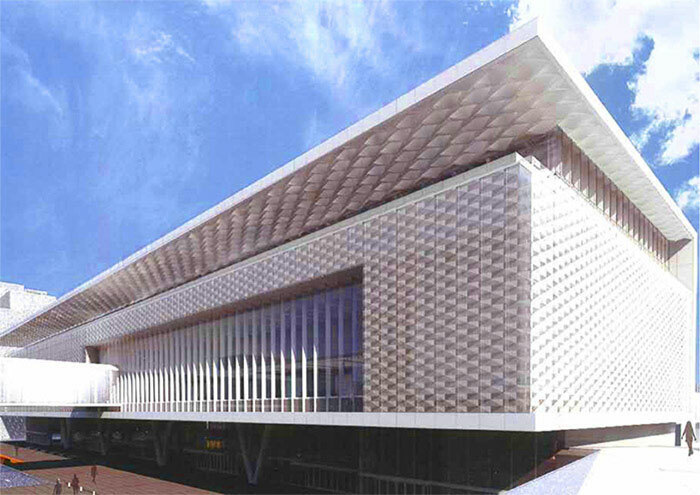 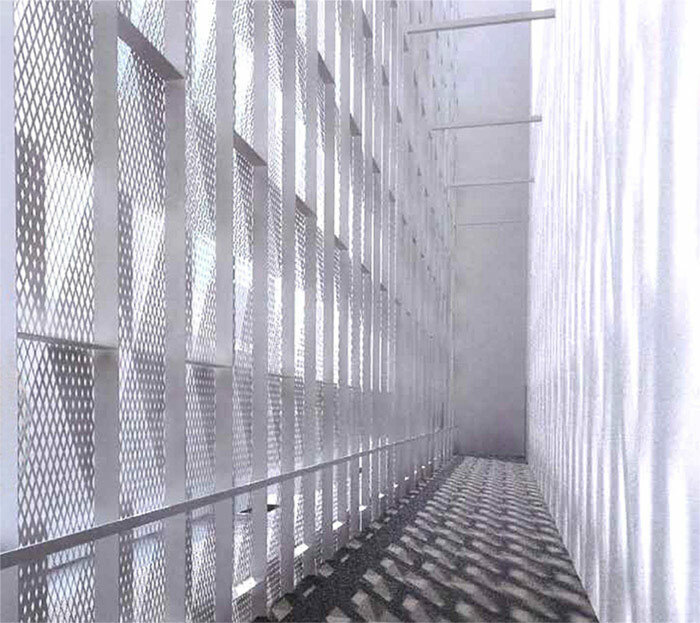 BŌK Modern is currently working closely with SOM Architects on a significant expansion to the Moscone Convention Center. 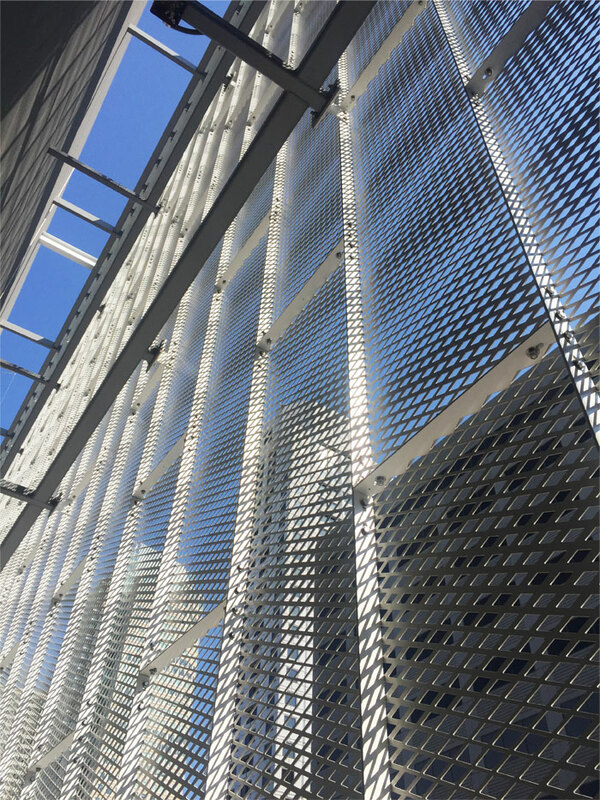 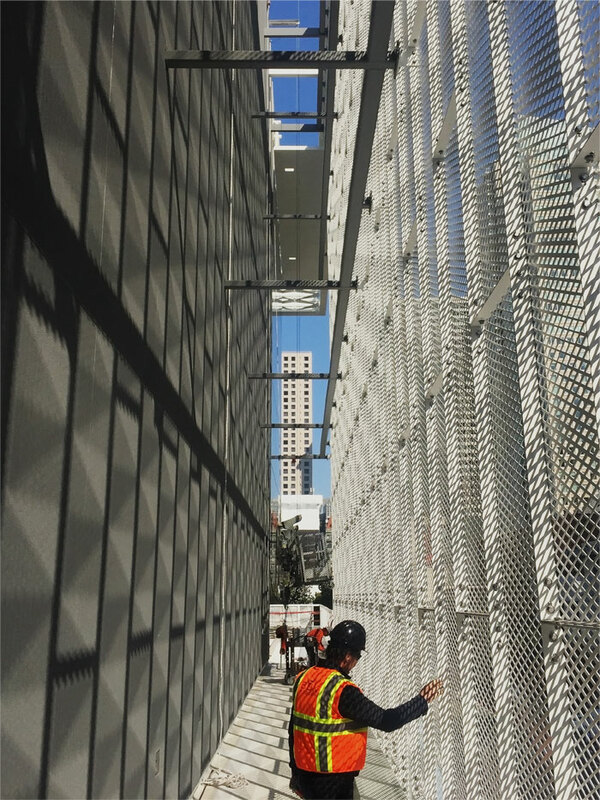 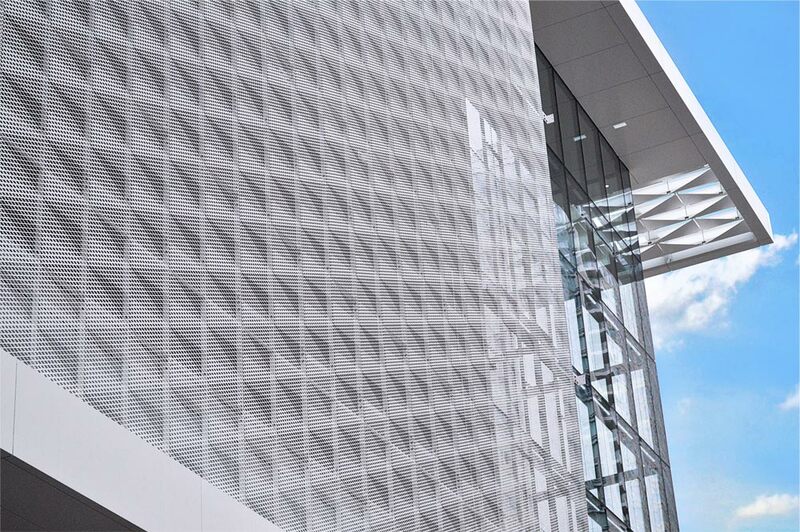 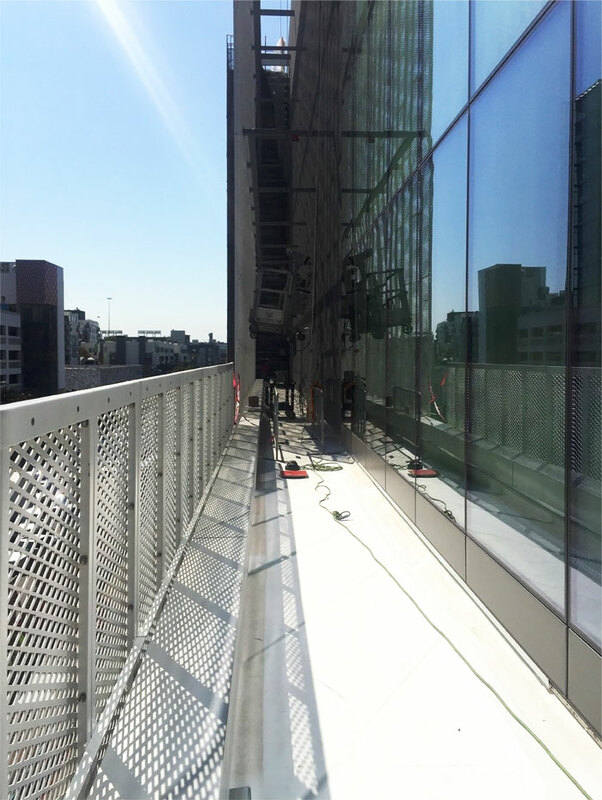 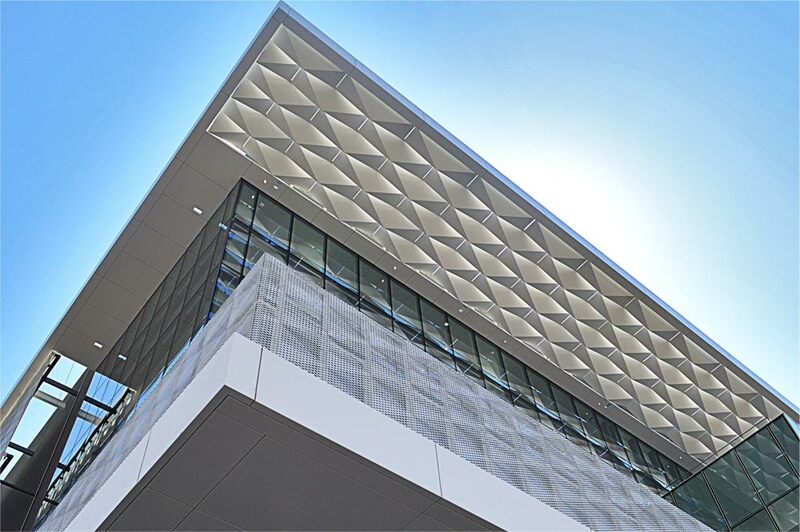 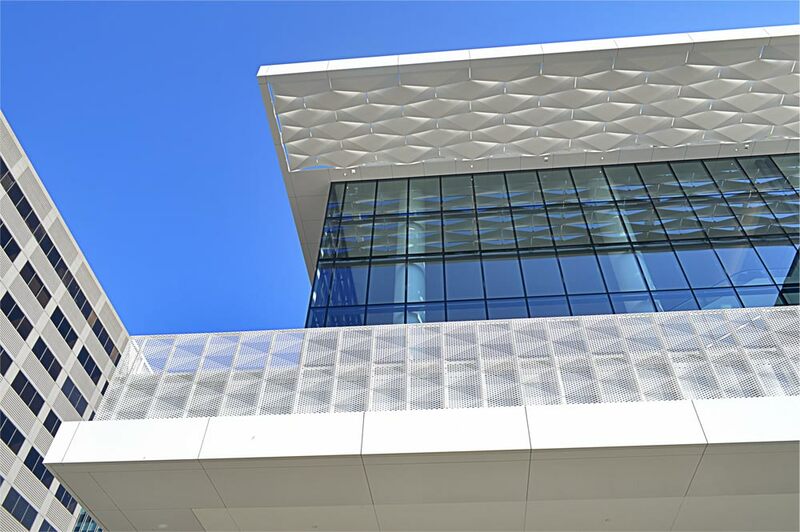 BŌK Modern’s team developed a ‘self-reinforcing’ staggered 3 story tall scrim (screening system) which allows it to ‘hang’ from a single row of structure at the roof and simply pinned out from the building for lateral support only. 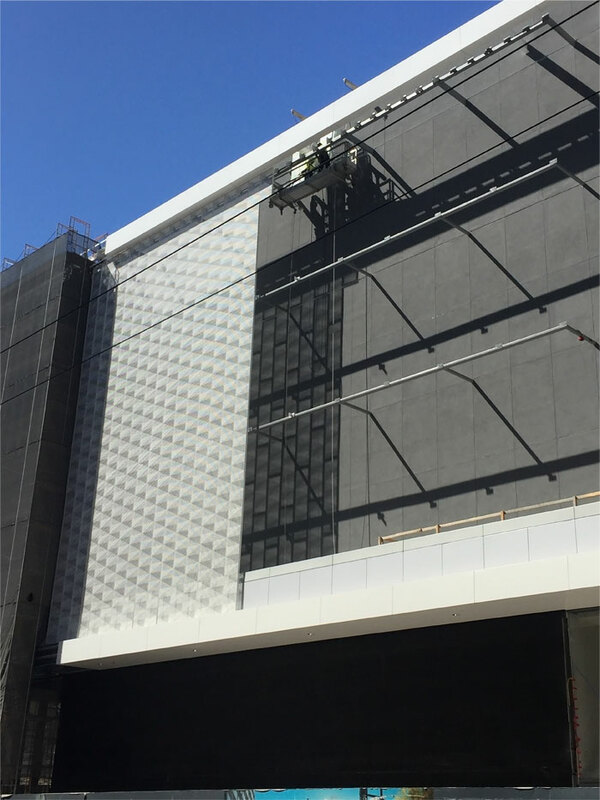 SOM’s custom ‘diamond’ patterning in a white kynar finish will provide an illusion of a 3rd dimension to the otherwise flat screens.